Whether you're watching a big game, throwing an elaborate cocktail gathering or simply having some couples over for dinner, it takes a lot of work to host a great party. So, when it comes to showing your favorite host or hostess some love, why settle on flowers or that basic bottle of wine? We think they deserve more for their entertaining efforts, so we scouted high and low for the best thank you gifts and the best hostess gifts to make any host happy. And the best part? In addition to being stylish, they're affordable, too! All of our favorites can be picked up for $25 or less. Now that's a reason to party! 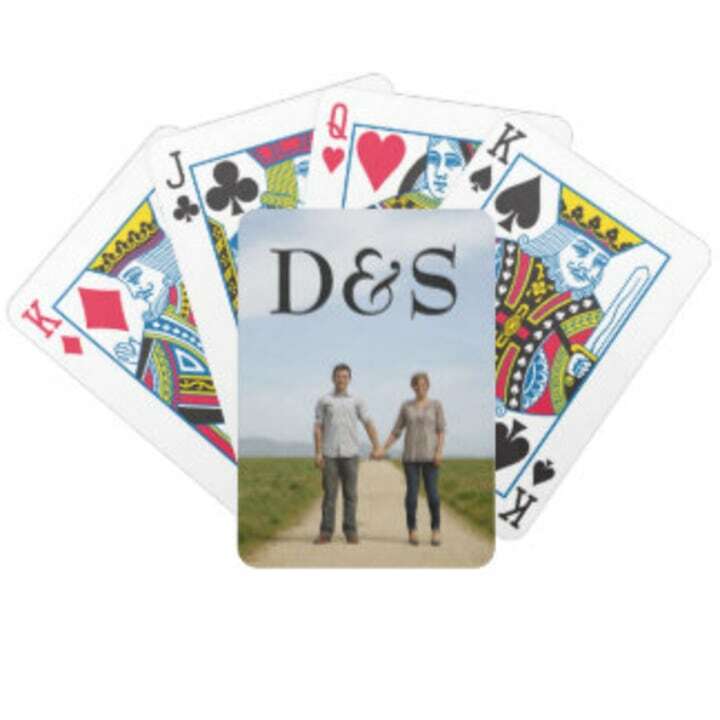 For your favorite card shark, personalize this deck with a photo of your host — you can even add a monogram. This is a gift that pampers! 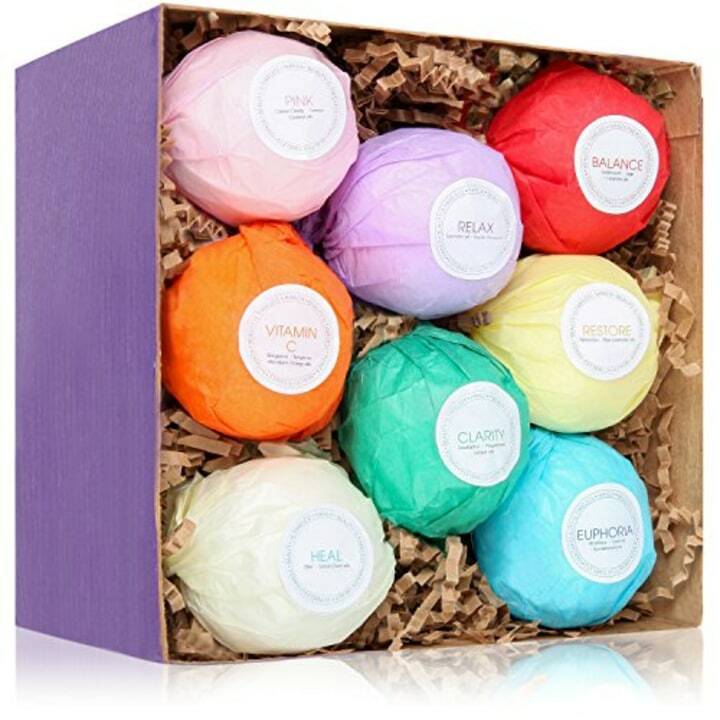 Your host will love a little well deserved R & R with vegan bath bombs. This gift has a great "wow" factor with its pretty and colorful presentation. 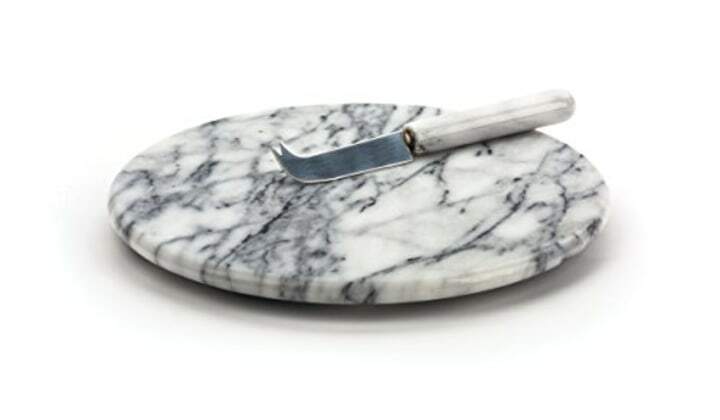 This gracious marble cheeseboard makes a perfect serving piece for cheeses and charcuterie. It's one of those gifts that is appropriate for every kind of host. This technically doesn't fall into the "no wine" rule! 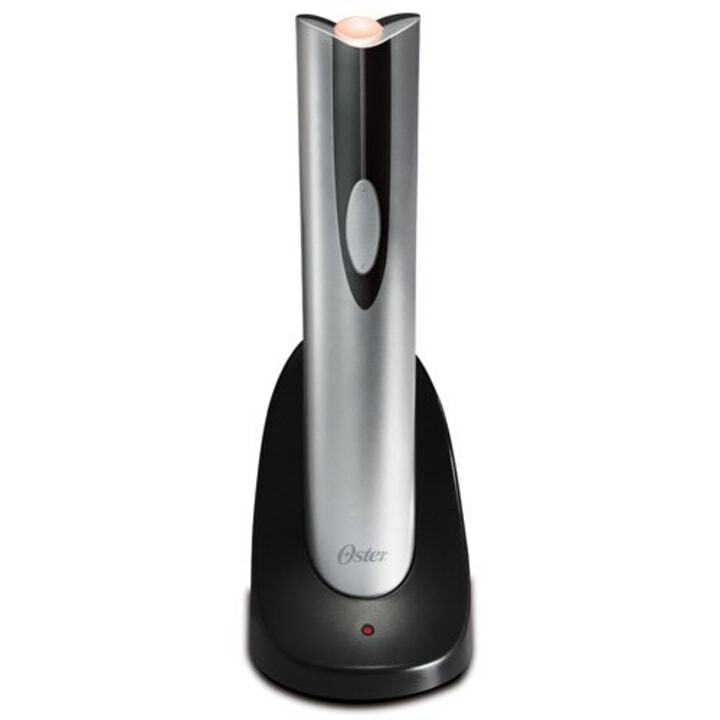 This handy little device makes it easier than ever to open that perfect bottle of wine (that someone else brought as their hostess gift). Talk about cute! 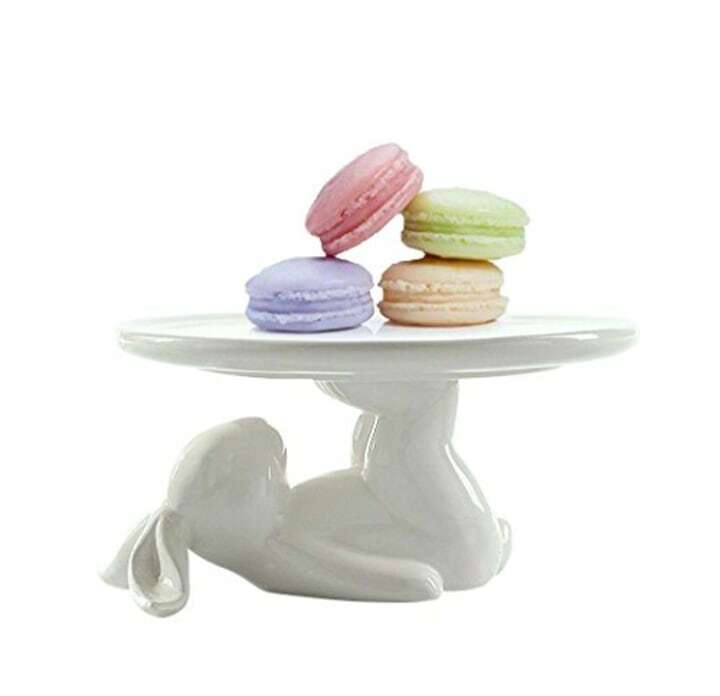 This bunny holds cupcakes, cookies and sweets on a plate held up by his little feet. And who doesn't love that? For an unexpected and thoughtful gift, we love these wood monogram cutouts. 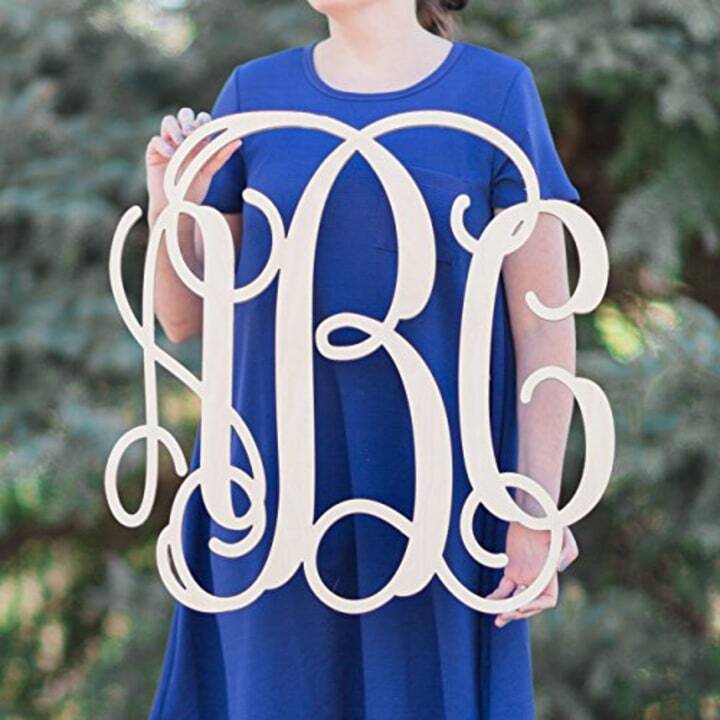 Your host will now be able to proudly hang his or her initials on a wall, door or mantel. Match your host with his or her home state for a big score in the gift department. 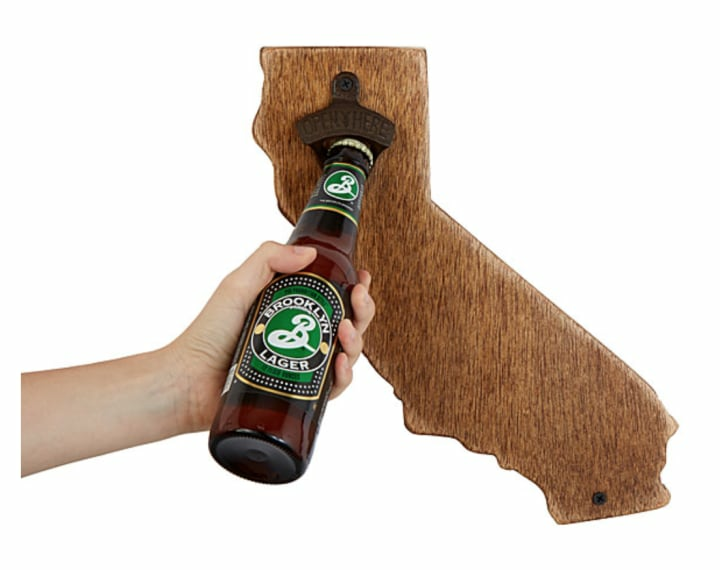 Whether shaped like New York or Florida, these wall-mounted bottle openers will make cracking open a cold one that much more fun. 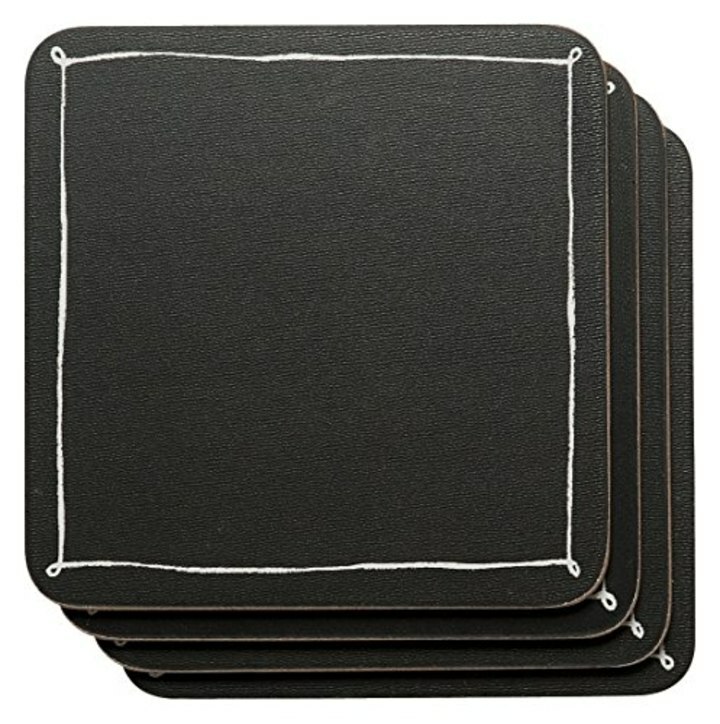 Your host will love these clever coasters made of blackboard material. A piece of chalk is all it takes to personalize or decorate. 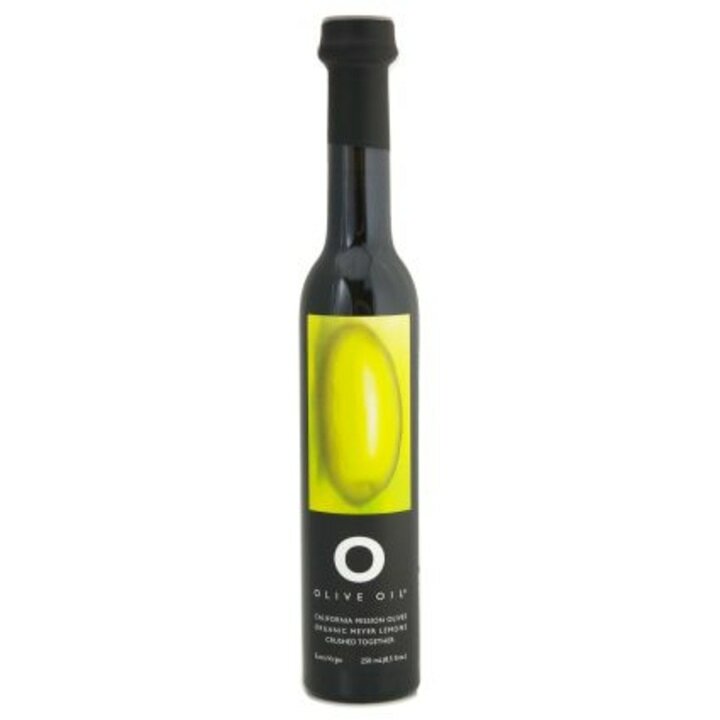 This tangy and decadent Meyer Lemon Olive Oil makes everything taste divinely delicious — from bread to veggies and more. This is a gift any foodie host will fall in love with. 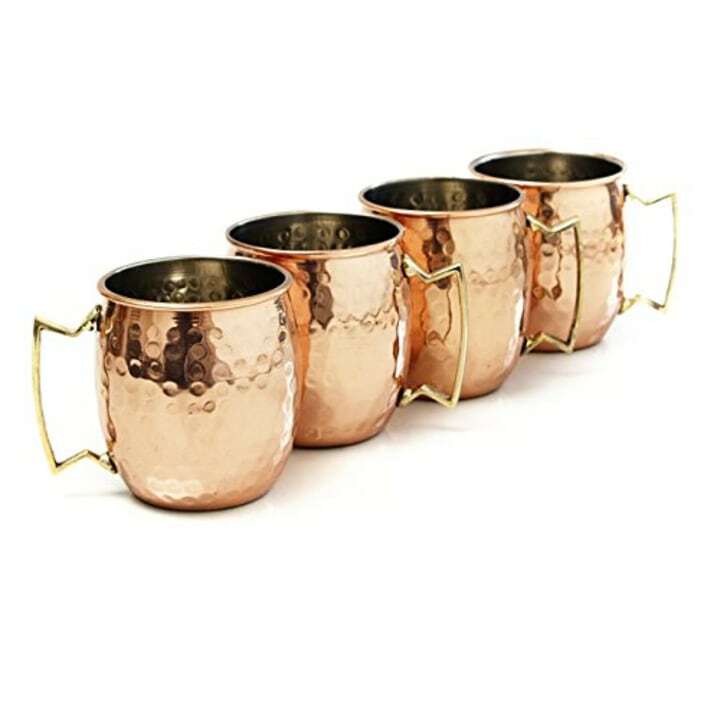 Four hammered copper mugs beckoning for a frosty Moscow Mule? Sign us up! This classic gift is a slam dunk for the entertainer. Your host will certainly enjoy this crowd pleaser that encourages guests to help themselves — something everyone can appreciate. 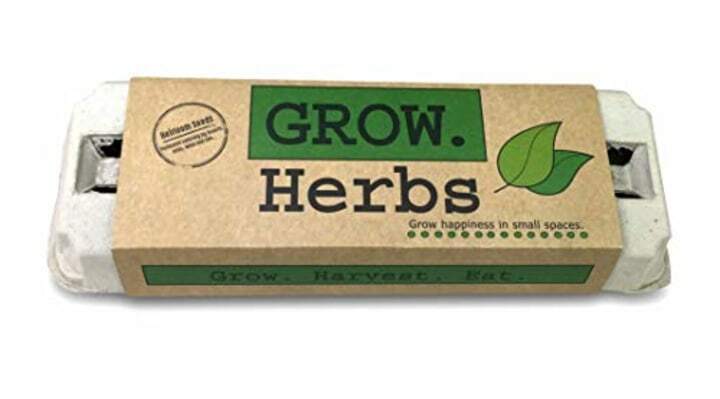 This cute little patio gardening kit provides everything you need to grow herbs. It's a gift that keeps on giving long after you go home. 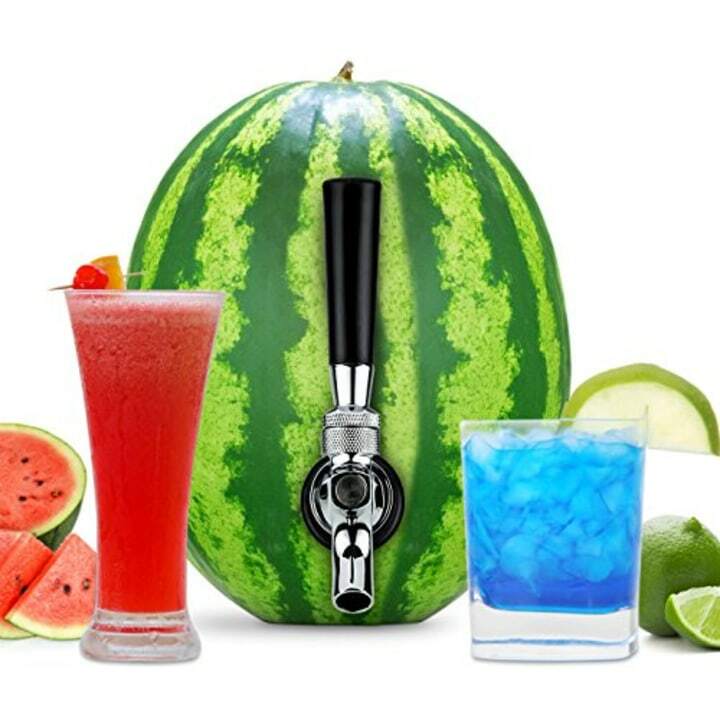 Help your host take that summer shindig to the next level by gifting this watermelon tapping kit. 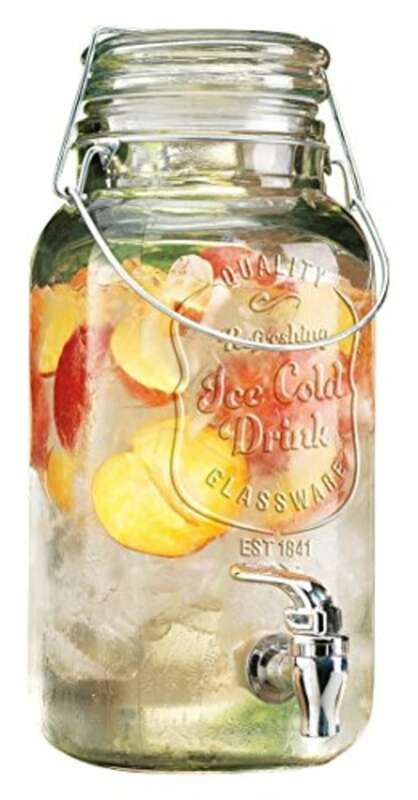 It turns summer's favorite fruit into a natural keg for adult (or kid-friendly) drinks. Style and substance! 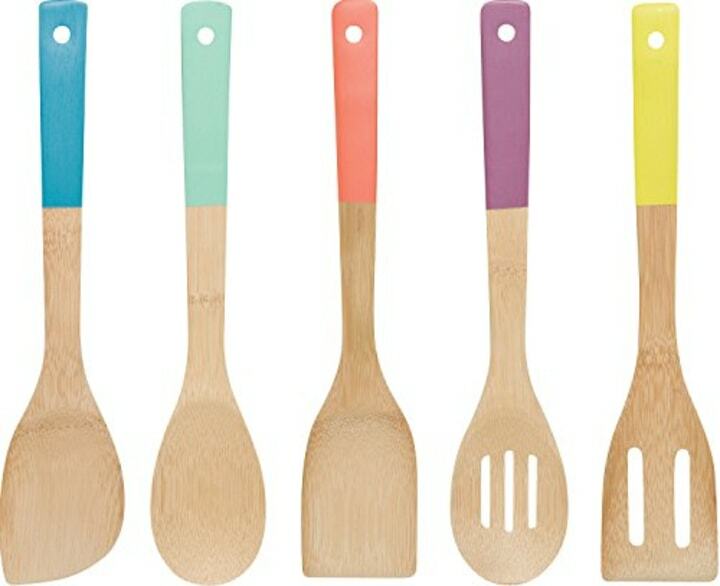 These cool and colorful hand-dipped bamboo kitchen utensils are so good-looking your host will want to display them proudly. 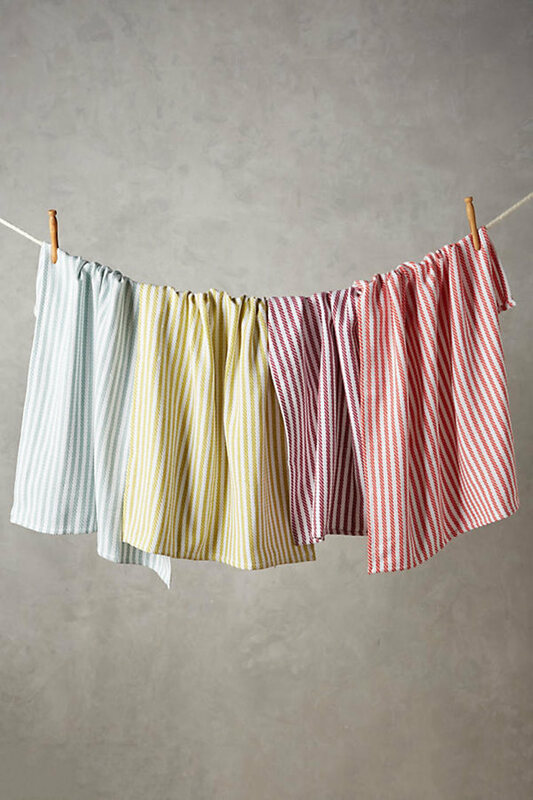 What host wouldn't love this set of sassy striped dishtowels? As an added bonus, you can even offer to do the dishes. Here's a sweet little gift for the honey lover. 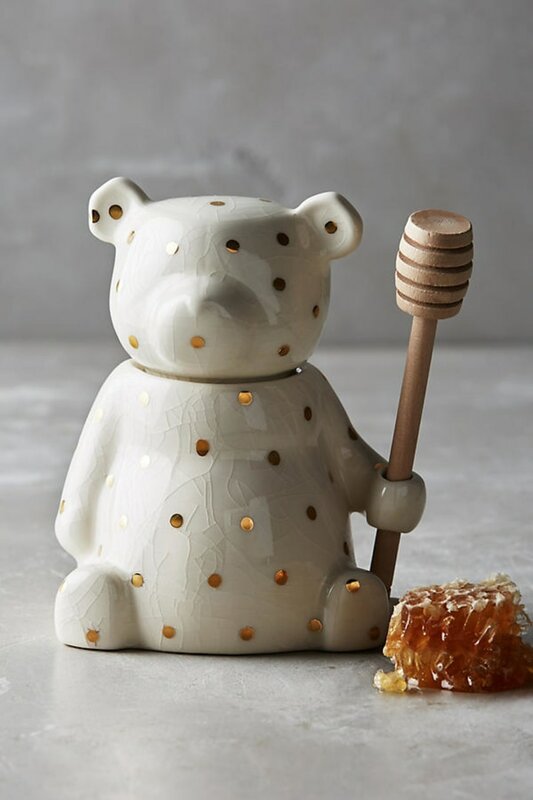 Your host will swoon over this this hand-painted stoneware bear with wood dipper. Jazz up your host's table with a bold pattern and color. 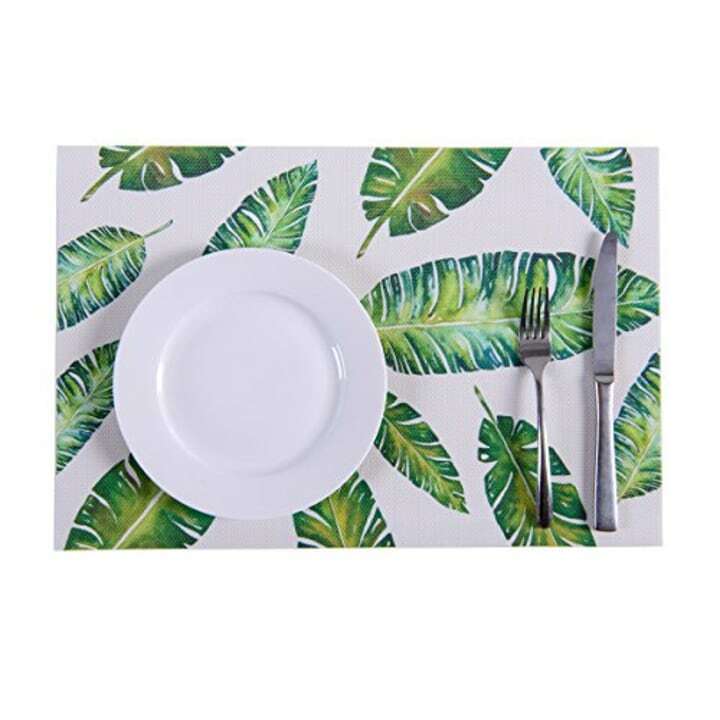 These green and white banana leaf place mats make any meal a party. A casserole always tastes better when the cook wears ruffles. This fashion-forward apron boasts florals and fun. 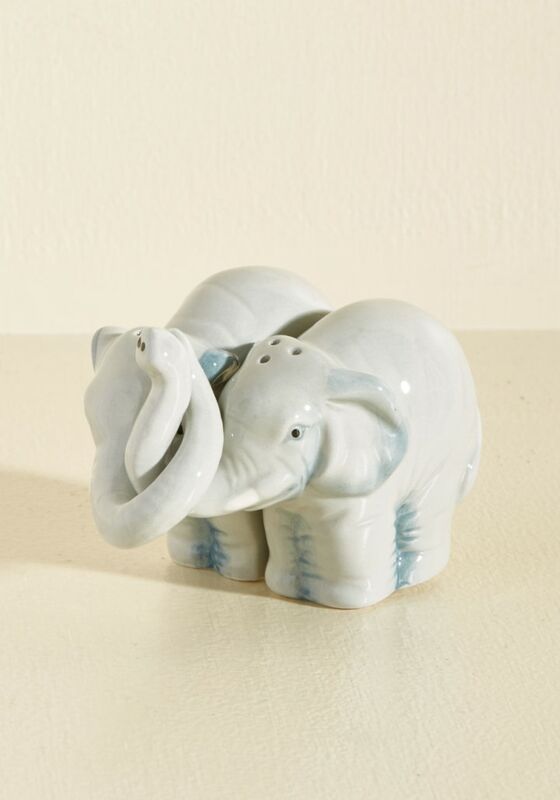 Animals are a huge trend in home decor and accessories, and these two lovebirds (or should we say love elephants) make a precious pair of salt and pepper shakers. It's tradition with a twist! 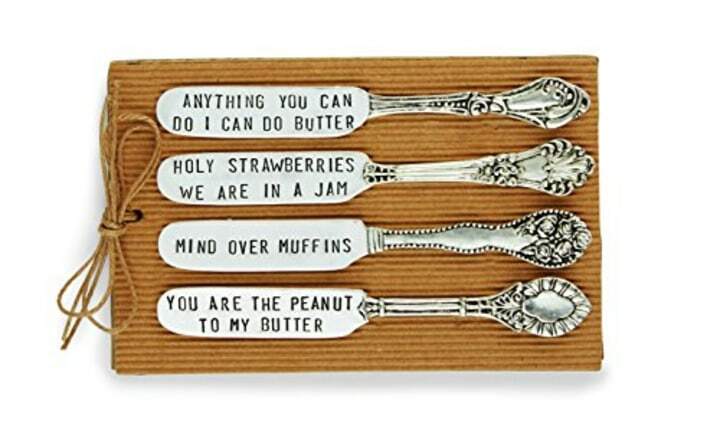 These spreaders have quite the sense of humor, engraved with sayings like, "Anything you can do I can do butter." They also make a perfect serving set for your host's next gathering. This is one of the prettiest gifts we have ever seen for $24. 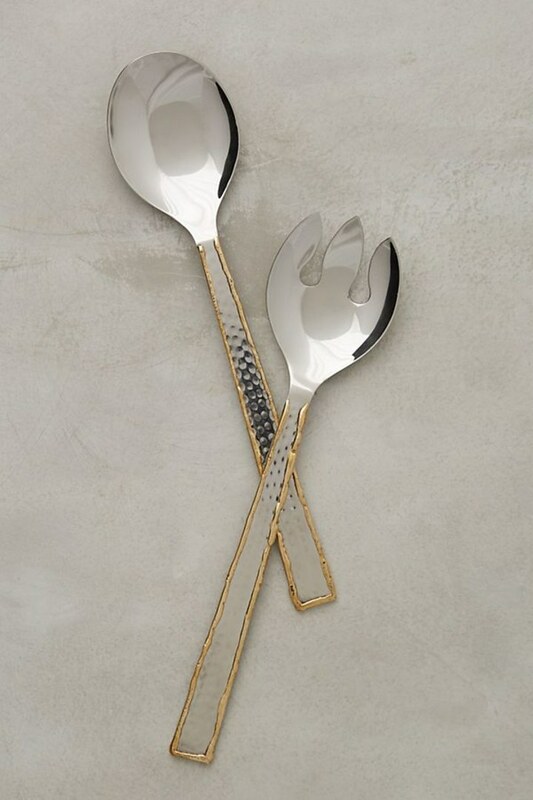 These serving pieces are an elegant addition to any host's entertaining arsenal. Chrissy Teigen's new release will be the hottest cookbook of the season. 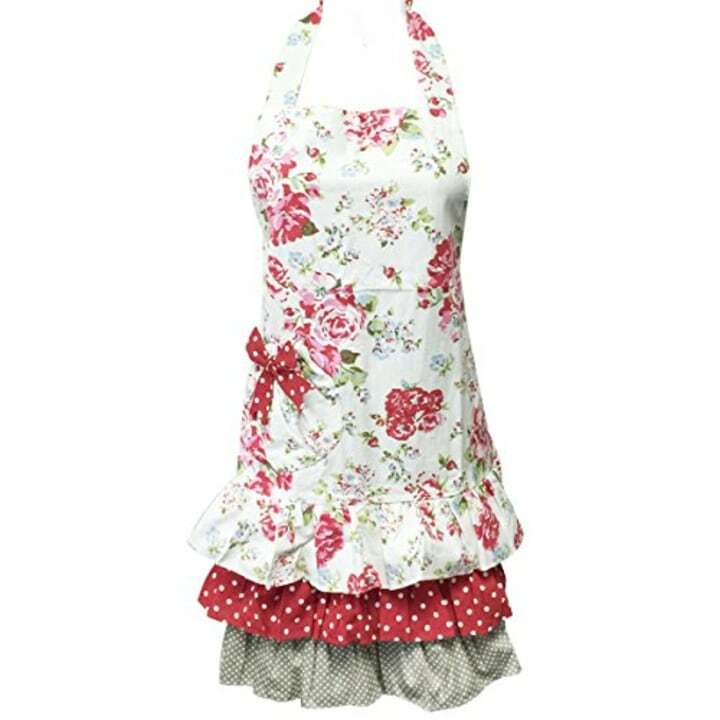 We chose this apron because it's perfect for the hostess that likes to experiment in the kitchen but also has a cute outfit she wants to showcase. 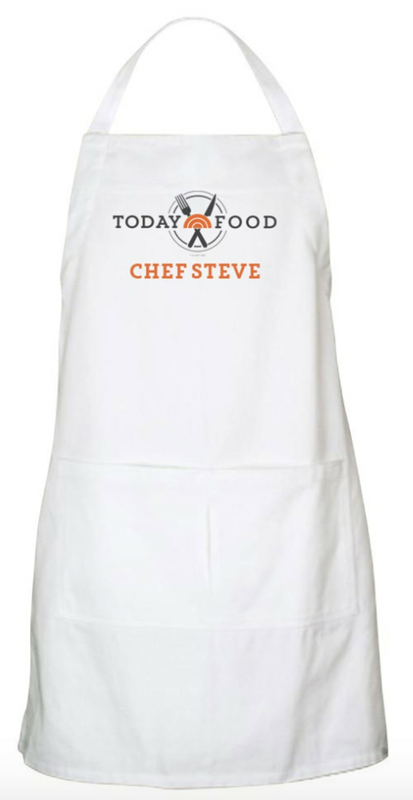 Show your favorite hostess some appreciation with a personalized cooking apron! Bright lights, big thank you! 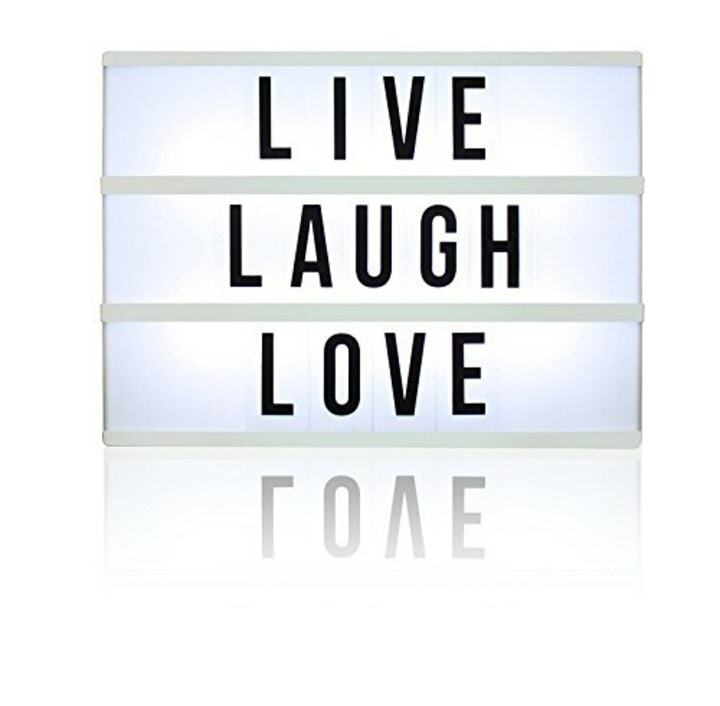 This light box comes with all the letters you need to spell "thank you" and a whole lot more. 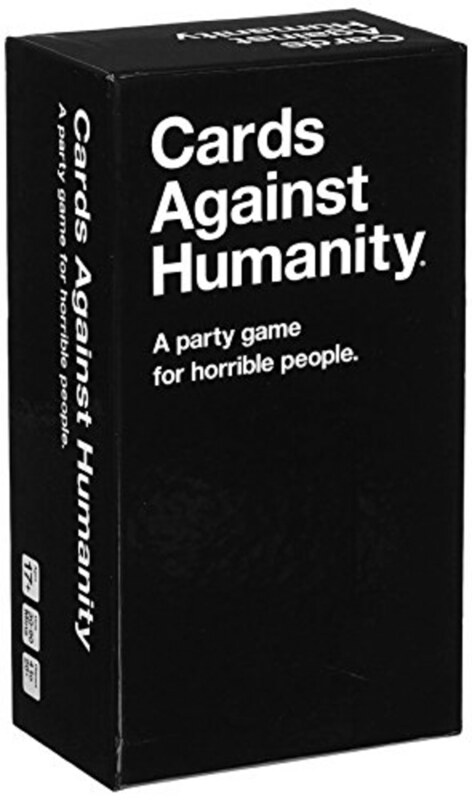 There's nothing like a little Cards Against Humanity to get an evening rolling. This game is like a secret weapon when your need instant entertainment. Succulents are a huge trend due to their small size and nearly zero-maintenance. 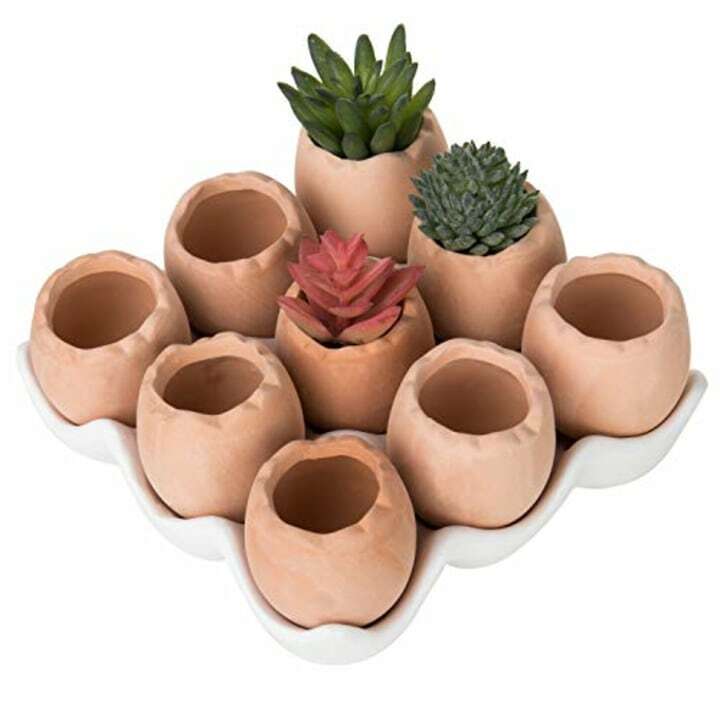 Add a few succulent plants to these cute and clever egg-shaped planters to present your host with a little magic garden. 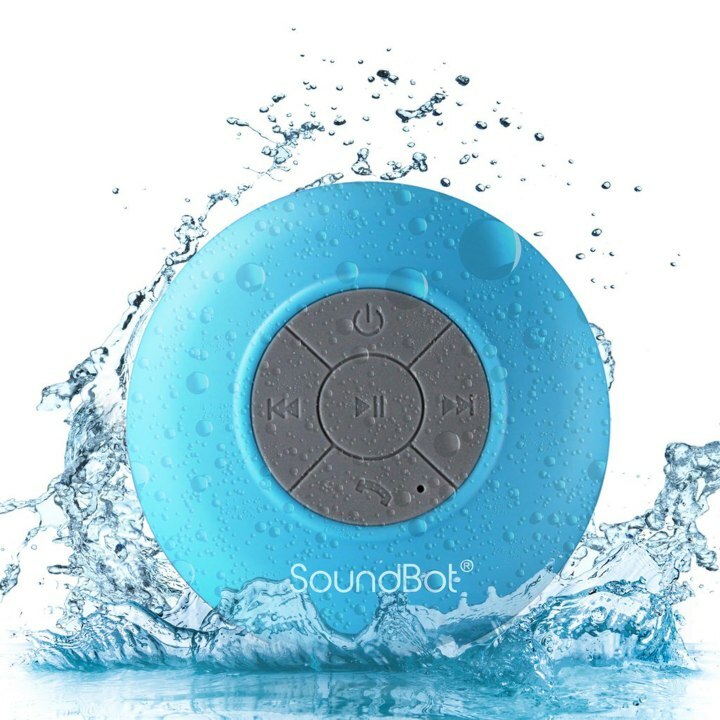 With this waterproof speaker, water spills won't ruin the party! It's a great gift for the music lover. 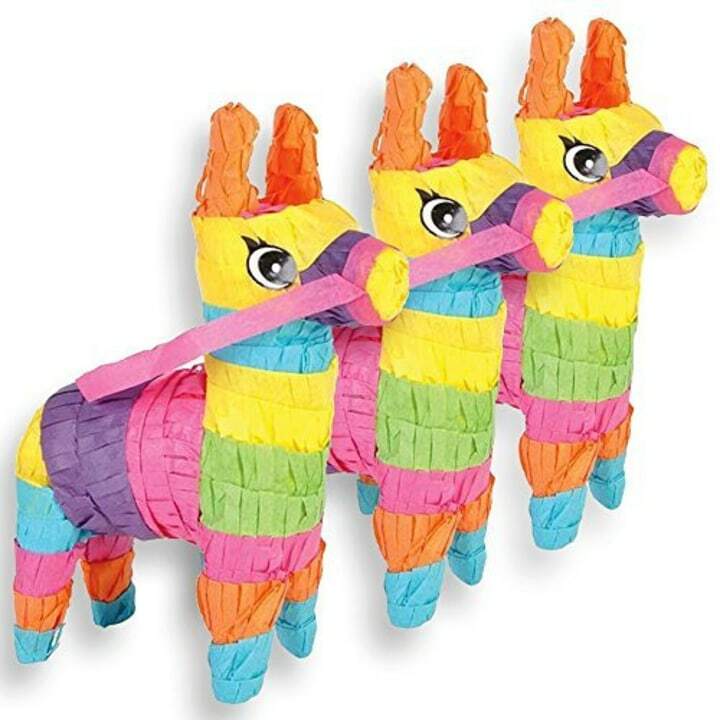 Set the table or the tone with these festive pinatas. Skip dessert and string them up after dinner for some fun for the entire family. Home is where your tissue is. 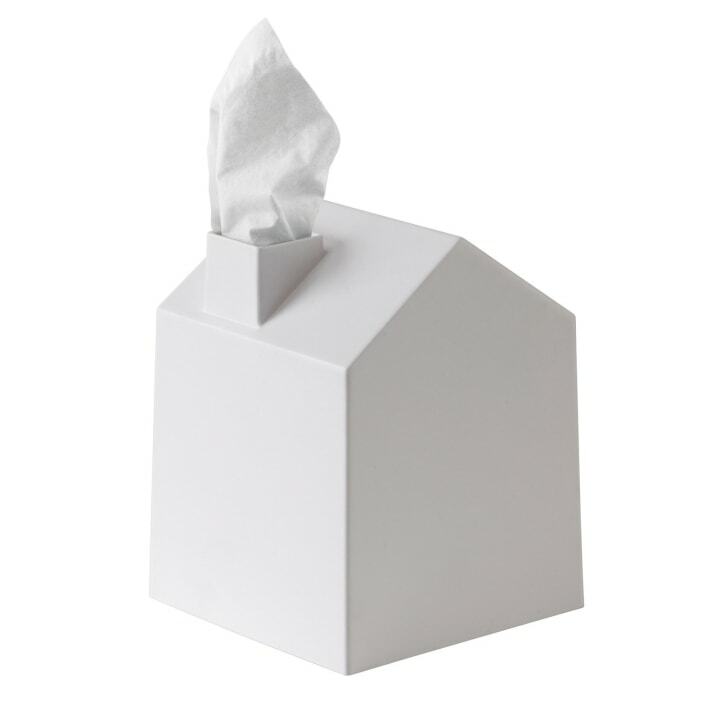 This modern take on a tissue-box cover will be a fabulous addition to your host's powder room. Don't forget the four-legged hosts! 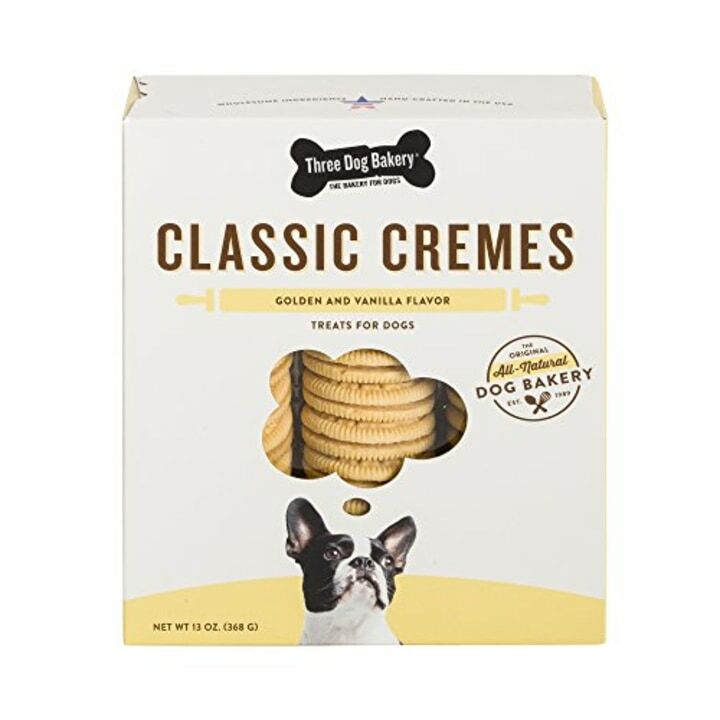 It never hurts to get in good with the pups, and these dog cookies will do the trick. This is funny! 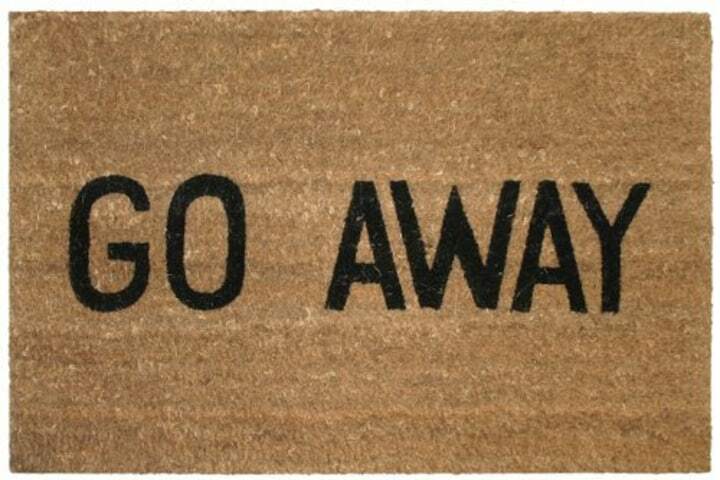 And though it may not convey your host's true feelings about guests, it'll be sure to get a laugh. Here's the perfect gift for your BFF when a girls' night out is on the itinerary. This comprehensive kit provides everything she might need in a pinch. Plus, it's small enough to fit in a purse. 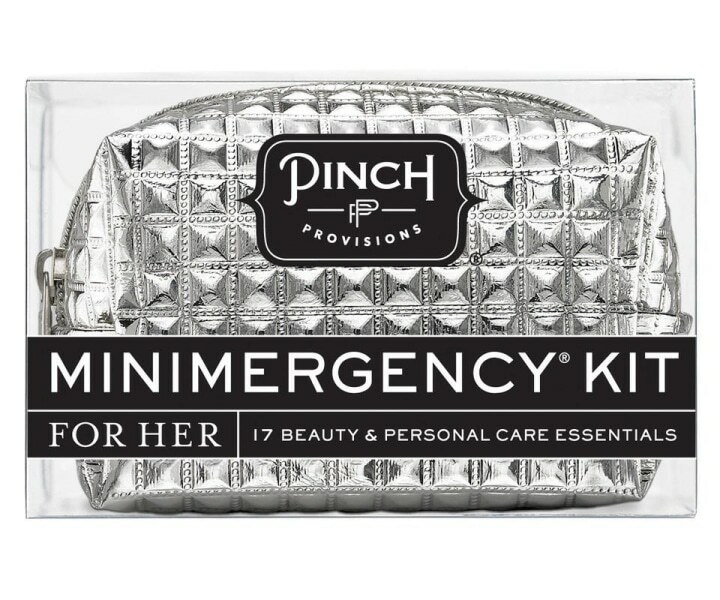 From a rescue hair tie to double sided tape to even a pain reliever for the next morning, this gift will make anyone a whiz at pre- and post-party preparedness. Don't forget the kids! 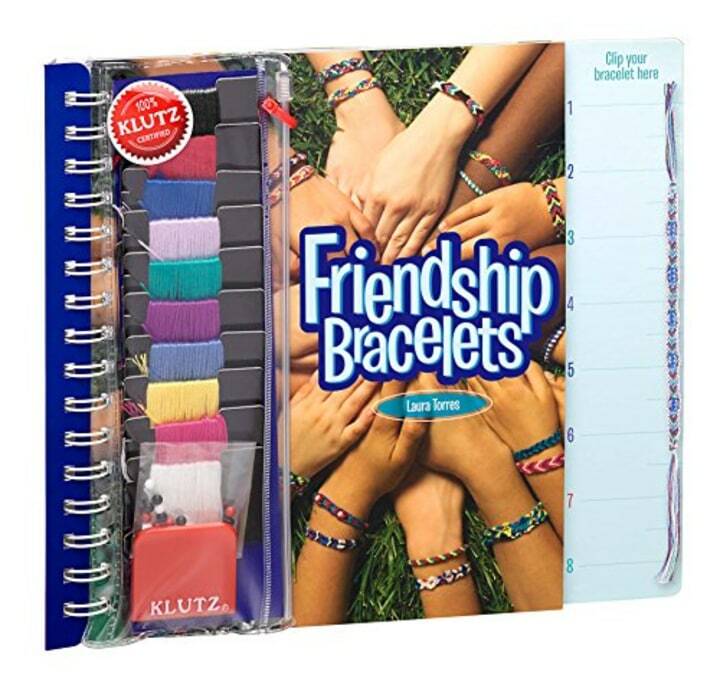 If you host has a couple of young ones running around, this DIY friendship bracelet kit is sure to delight. Your host will thank you for the hours of quiet time this gift provides as the younger set gets busy with a good old-fashioned crafternoon. 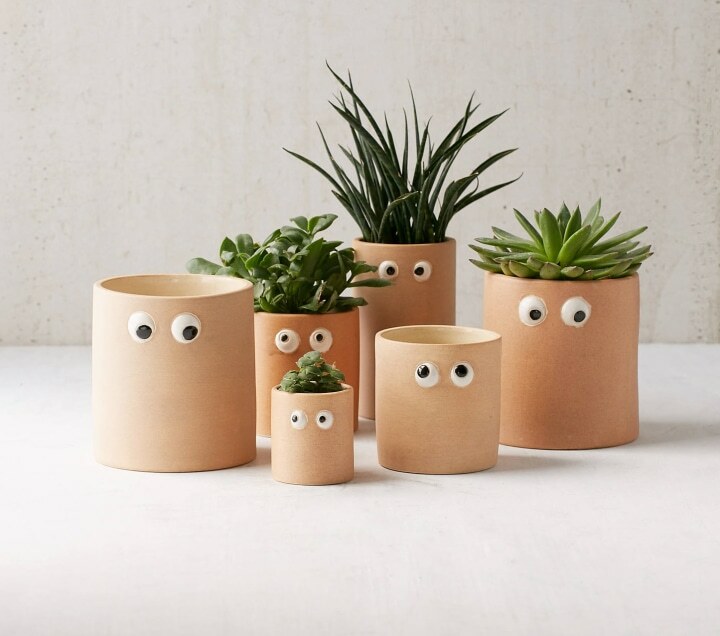 These googly eyed planters are adorable. Your host can put them in a kitchen window to grow fresh herbs. 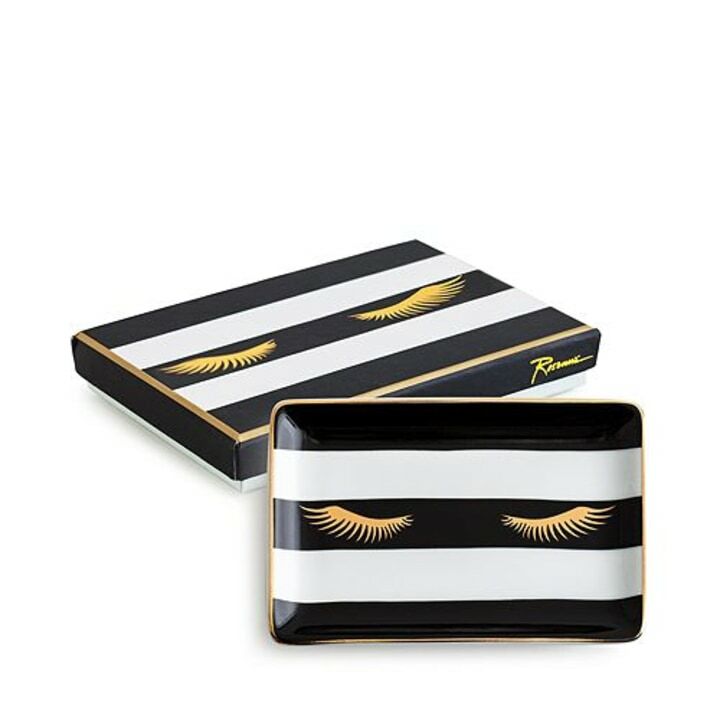 We are big fans of stylish storage, and this jazzy and graphic catchall will wake up your host's dresser or bathroom counter. Plus, we love the sassy gold eyelash motif. 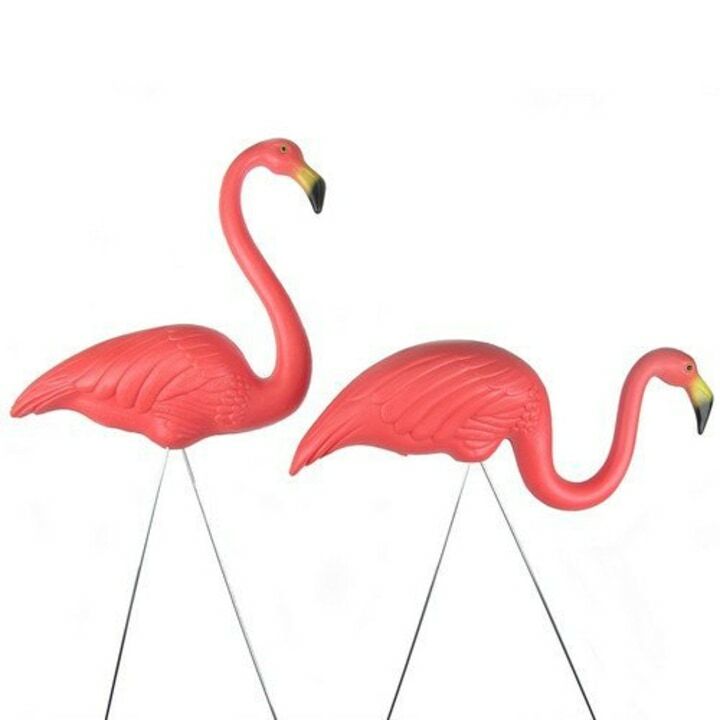 If your host has a sense of humor, why not bestow them with a pair of pink flamingo lawn ornaments? A cheeky token like this makes for a delightfully memorable gift. 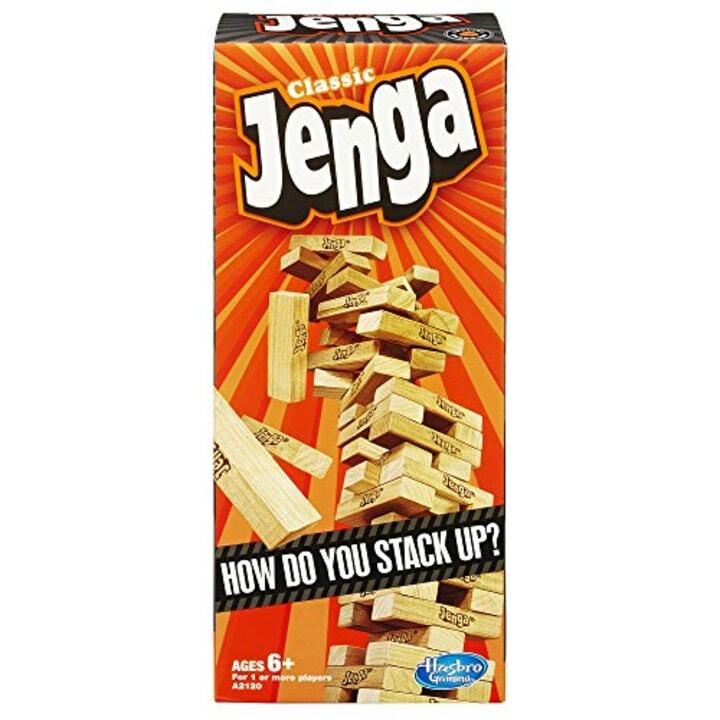 No matter how old you are, a good old fashioned game of Jenga is always a blast. 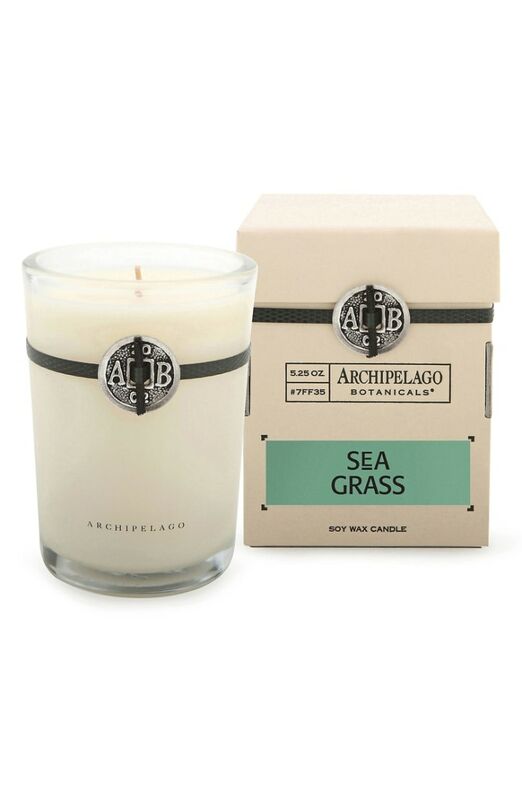 A candle is a never-go-wrong option for a hostess gift. This mango tangerine fragrance is fresh and fills a room with a beautiful citrus scent. 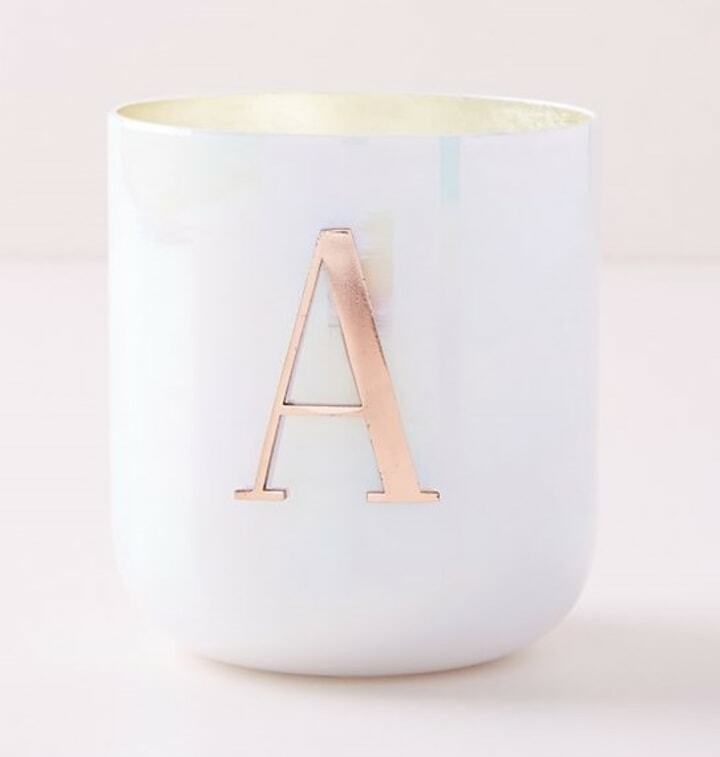 A candle may seem like a generic hostess gift, but the initial and metallic sheen of this one make it anything but basic. Give the gift of calm. Herbivore makes wonderfully luxurious (and great-looking) products. A favorite of ours is their Dead Sea bath salts. Your host will never want to get out of the tub. Treat your host to a luxury hand and body wash that smells like a dream.